Confessions of an ADD English Teacher: Dresser's done! 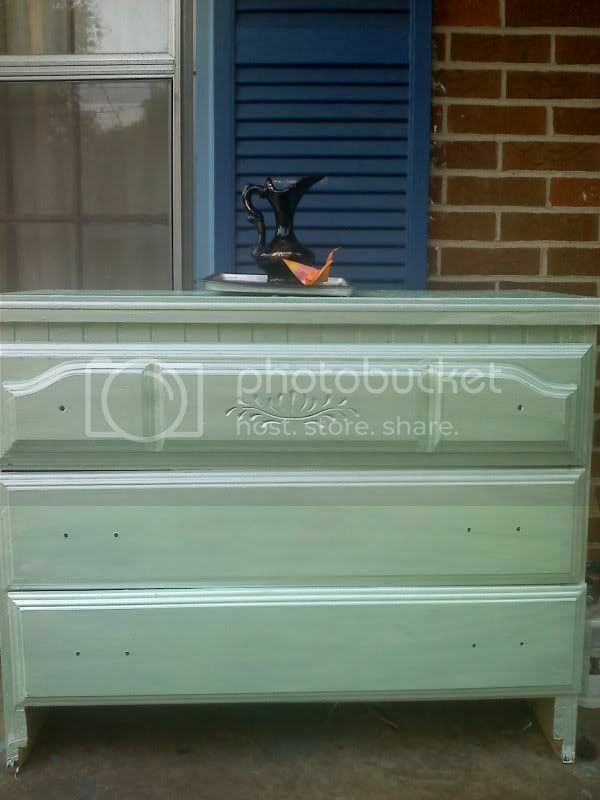 I posted yesterday about giving a dresser a facelift, inspired by something on Pinterest. check out the lovely water damage at the top. My goal was to make it less ugly by using paint...paint i got off freecycle or had leftover from another project. Basically, if this was going to fail, I didn't want to waste anything besides my time. I used two coats of Kilz one coat blah white leftover from painting cabinets in the kitchen. I also did two coats of a green pearl glaze. I'm not totally loving the outcome, but Leelee is and it's for her room so I guess her opinion counts more. I don't even think it really matches her room, but whatever. We'll see when we actually get the room painted and all of her stuff moved in. Wow! 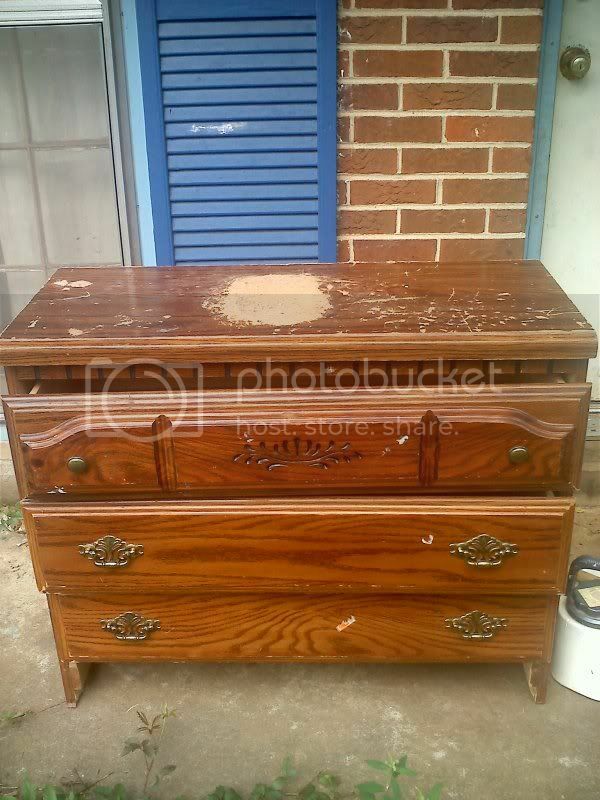 That dresser looks amazing! What a difference! We'd love to have you link up on August 15th with the Martha Stewart's Cupcakes Club. We're baking Rhubarb Cupcakes with Whipped Cream. They are delicious! Hope to see you then! I think it is awesome. :) Great color!! Girl you did a great job and for free? Umm, yea! As far as pulls, what style is the room? If shabby, what about those small "crystal" ones you can find at Target? Anyway, I think you can remove water spots with mayo. Just an FYI. My Mother-in-law told me this. I have never tried it but something for the future right?